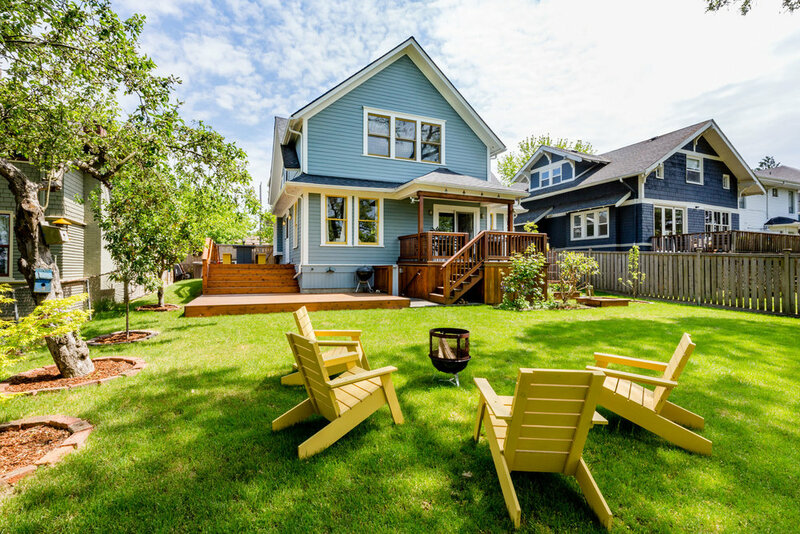 This sunny Craftsman is stylish, warm, and inviting both inside and out! The dining room and kitchen open out to wonderful decks and an expansive, level, grassy backyard – the perfect spot for summer BBQ’s and play. Significant renovations have created interiors for today’s lifestyles while maintaining the original character of the home. A wonderful cook’s kitchen and pantry open to the dining room, creating a hub for daily life. Upstairs are two beautiful baths, including one off the master, plus new hardwood floors and double-hung windows throughout. Ultimately walkable, close to the boutiques and cafes in the heart of lovely Madrona!